Energy drinks There are 13 products. Enjoy the orange taste and load your energy reserves! 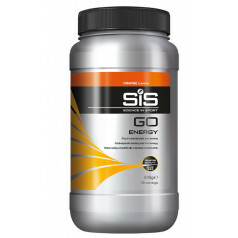 SIS energy drink with almost 50g of carbs within a single portion (750ml drink). 500g packaging results in 10 portions of energy drink. 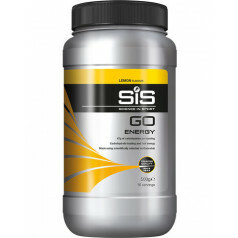 SIS energy drink with almost 50g of carbs within a single portion (750ml drink). 500g packaging results in 10 portions of energy drink with refreshing lemon taste. Take 60ml of energy shot before or during the race, and stay sharp until the finish line. 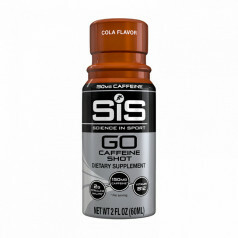 Contains caffeine, magnesium and valuable vitamins. Nutrend sports drink for muscle growth and strength encouragement. Contains BCAA and the essential amino acids -> the complete amino acid spectrum. NUTREND sports drink tablets for boosting athletes with vitamins, energy and liquids. Both isotonic and hypotonic drinks can be made. For use before and during activities, 12 tablets. Refreshing sports drink (before and during training) that provides the necessary hydration, minerals and energy, which are all lost during activities.